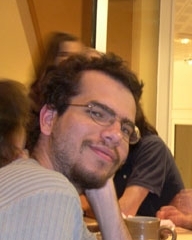 Artur Avila received his PhD from the Instituto Nacional de Matemática Pura e Aplicada (IMPA) in 2001 under the supervision of Welington de Melo. Since then he has made numerous outstanding contributions to one-dimensional and holomorphic dynamics, spectral theory of the Schroedinger operator, and ergodic theory of interval exchange transformations and the associated Teichmüller flow. Artur was appointed as a Clay Research Fellow for a term of three years beginning July 2006.